First up, we can’t avoid lip care. Lipstick never looks good over chapped, dry lips so using a scrub such as Lush Popcorn Lip Scrub is the first thing I do before slapping on some Korres Mango Lip Butter, resulting in a super smooth base to make sure everything goes on neatly. Another pink(ish, leans coral too) shade is from one of my favourite brands and the lipstick I said I had lost in my latest video (told you I’d find it!). Bobbi Brown Calypso has a lovely matte finish and such an intense colour pay off that it’s at the top of my list right now. It’s lasted a full shift at work without budging, so is well worth the pennies. Of course, there had to be a berry tone as as much as MAC craving is my all time favourite, MAC media is a close second. It may be a bit dark for some, but if you want to get your mitts on a dark shade for winter, then this may be the one for you. 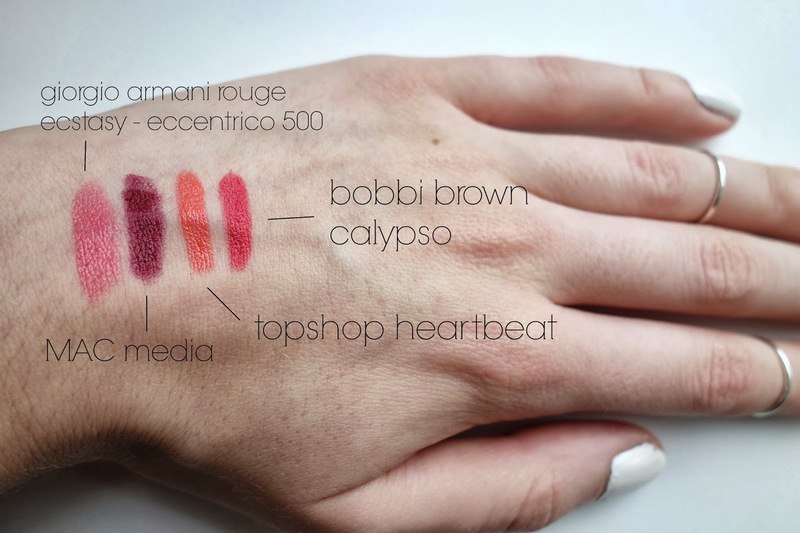 If your budget doesn’t stretch to the ‘high end’ lippies, then I can strongly recommend taking a look at Topshop. Topshop Lip Bullet in Heartbeat is a gorgeous warm orange tone and has great lasting power, which is wonderful for it being under £10! So, those are all of the product I’ve been loving at the moment. They’re all fantastic and would recommend one as much as the next. 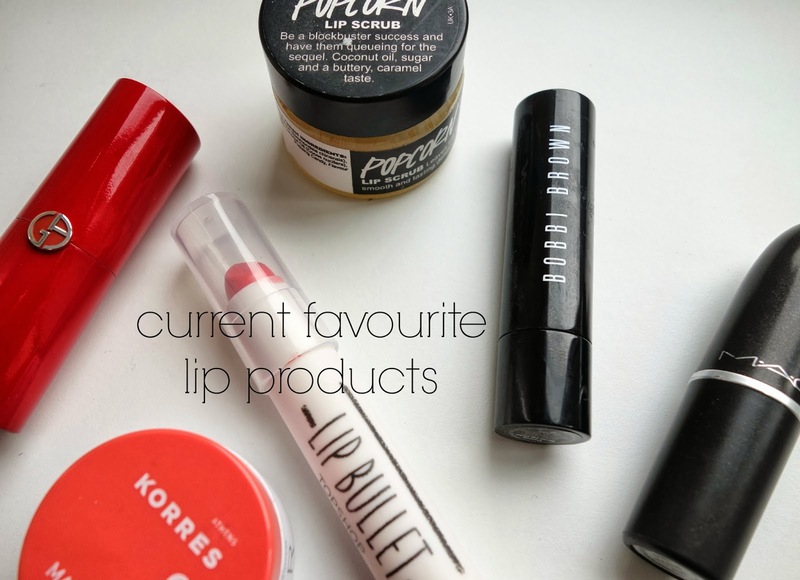 Any lip products you’ve been loving recently? Any ones you’d recommend? Oh, I’ve just launched a little twitter giveaway to win some Nuxe products, so go enter!